Conan, the Cimmerian, black-haired, sullen-eyed, sword in hand, a thief, a reaver, a slayer Discover how it all began ...Conan the Barbarian spawned a hundred imitators. Find out why with these tales from his early life. From the Tower of the Elephant to Beyond the Black River, follow Robert E. Howard's greatest creation as he cuts a bloody swathe through the history of Hyborea. Over 350 pages of epic action, personally selected by the makers of the new film and the greatest Robert E. Howard scholars. 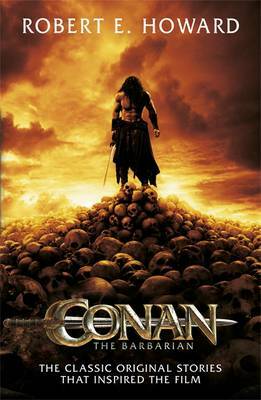 Conan. Warrior, Hero, Legend.